Wild edibles are an excellent food source in a survival situation. In most climates you can find wild edibles year round. However, eating the wrong plant can make you very sick and can possibly kill you. Many plants can cause severe diarrhea and vomiting which can lead to dehydration and starvation. Unfortunately, Mother Nature is bad about placing poisonous look-alike plants right next to the edible ones. 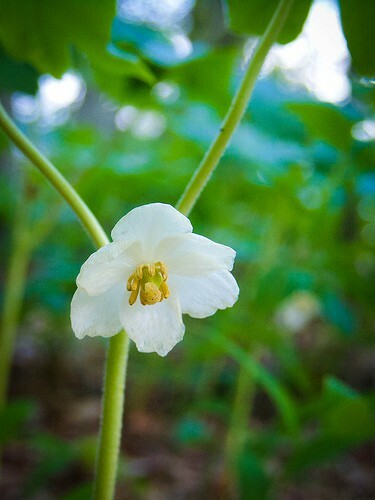 There are a few things you can do to help ensure your safety when eating wild edibles. The most important rule is to simply avoid any plant you cannot identify. There are plenty of wild edibles that are easy to identify such as clover and dandelions. There is no need to take any chances. Another rule to follow is to cook your wild edibles whenever possible. Boiling toxic plants will extract some of the toxins into the water. If you boil and drain plants three times before eating, it will give you a much better chance of staying healthy. One other strategy is to know what plants to avoid. As a general rule for berries, black and blue colored berries are the safest bet. White and red berries are poisonous over 50% of the time, but black and blue berries are safe 90% of the time. With the exception being morels, I avoid all mushrooms. They are just too hard to identify if you are not an expert. Keep in mind that the words “poisonous” and “toxic” are relative terms. People eat plants that can be considered toxic all the time. Many plants only have a certain part that are poisonous or have to be eaten a certain way. Some of the plants mentioned in this article are eaten by specific cultures on a daily basis. However, these plants pose enough risk that they need to be avoided unless you read up on how to prepare them. Horse Nettle – This plant looks much like a tomato but is highly toxic. The plump fruit may be tempting, but eat it and you will end up with severe stomach pain along with a slowing of respiration and heartbeat. Remember that there are no edible tomato-like plants in the wild. Pokeberries – These juicy blue berries are the exception to the rule. They look delicious. In fact, I have come very close to eating them myself but decided to look them up first. A handful can kill a child and twice that would kill an adult. Poison Ivy – Most people know that this plant will cause an itchy rash. It secretes a poisonous oil called Urushiol that can affect the skin even after it has been transferred from the plant. Get some on your clothes and you can still break out a week later when you are doing the laundry. 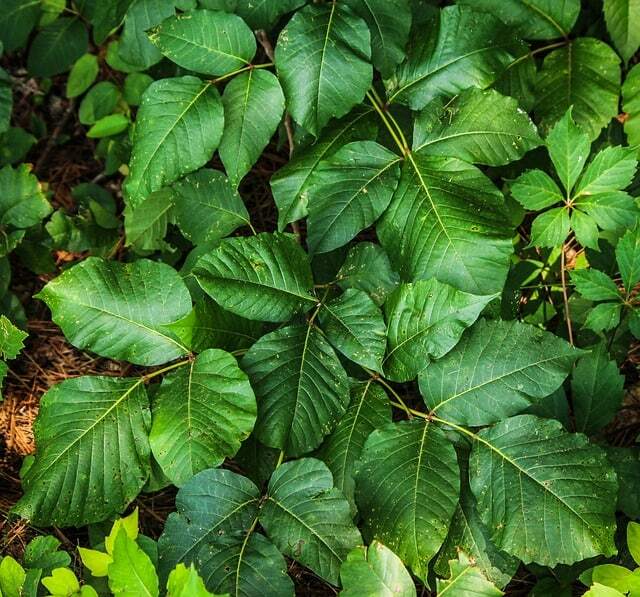 In addition, burning wood with poison ivy growing on it can actually get the urushiol in your lungs. Just remember ‘leaves of three, let it be’. If you get some on your skin, you have about 20 minutes to scrub the area with soap and water before it is too late. 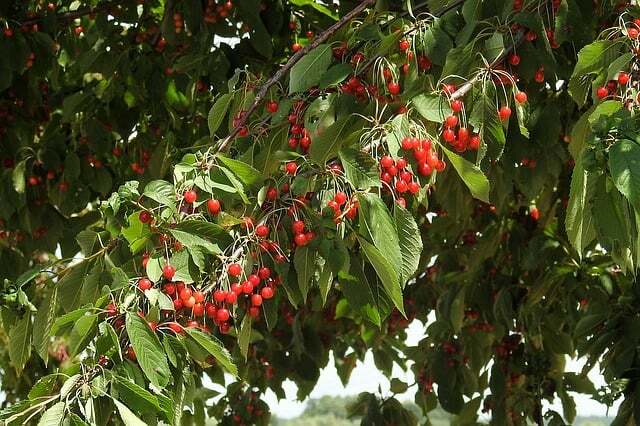 Wild Cherries – Like many fruits, both the leaves and the pits contain cyanide. There are small amounts in the fruit, but you would have to eat a lot of them to get sick. I have eaten these several times on survival challenges and have been fine, but do not accidentally swallow the pit. 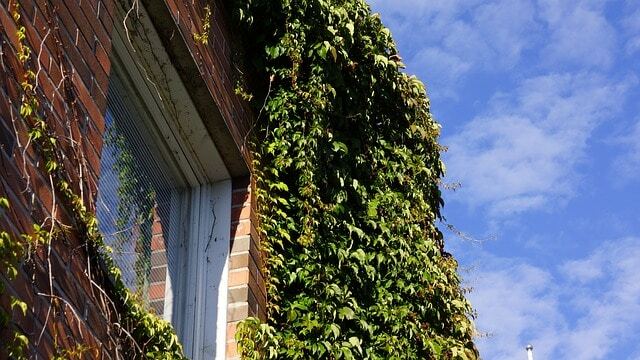 Virginia Creeper – This fine slightly resembles poison ivy, but a rash is not the worst this plant can deliver. 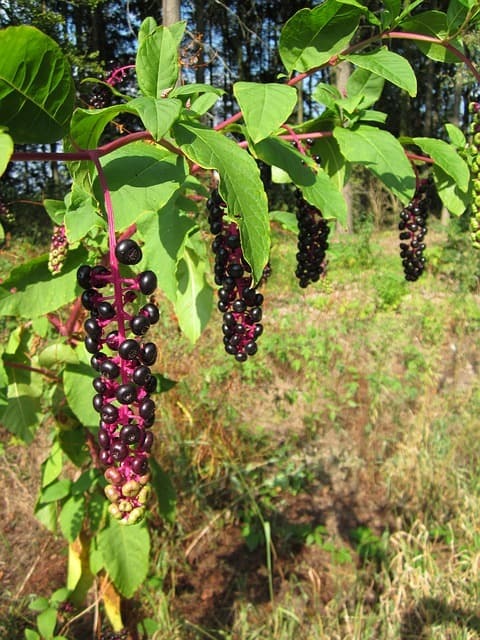 It has small purple berries that are strong enough to kill an adult. The leaves can also give you a rash, so steer clear. 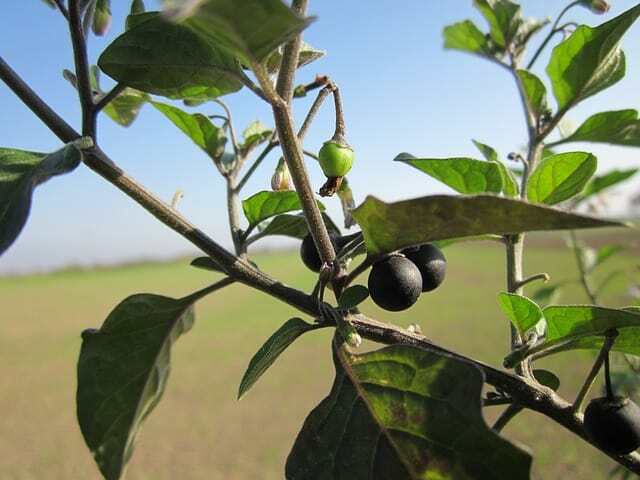 Nightshade – This blue colored berry looks very similar to blueberries. This is part of the reason it is so dangerous. The berries are highly toxic. If you see blueberries but that are not growing on a woody plant, leave them alone. 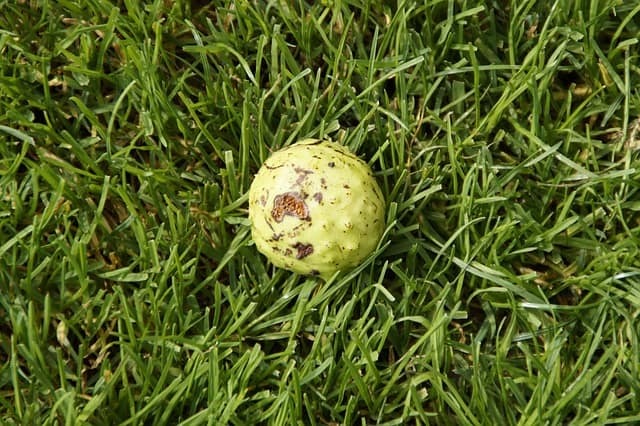 Buckeye – This nut resembles a hickory nut, but can be deadly. The green outer husk makes it look like food, but after removed the shiny nut inside looks very different from a hickory nut. If you are going after hickory nuts, look for meat more similar to a walnut or pecan. Dogwood Berries – The dogwood is very common in the US and can be found in shady areas where the leaves are protected from direct sunlight. In the spring they bloom white or pink and they produce red berries in the fall. Holly Berries – You probably can identify holly from Christmas decorations, but the red berries need to be avoided. The spiny leaves of the holly are easy to identify and the berries are firm and brightly colored. Wisteria Seed Pods – Cultivated beans are a great food source, but many wild legumes are toxic. 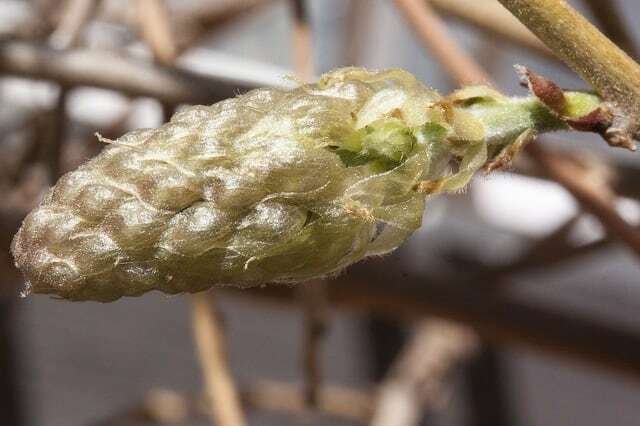 The see pod of the Wisteria looks like green beans, but do not eat them. They likely would not kill you, but you would be sick enough to regret the decision. 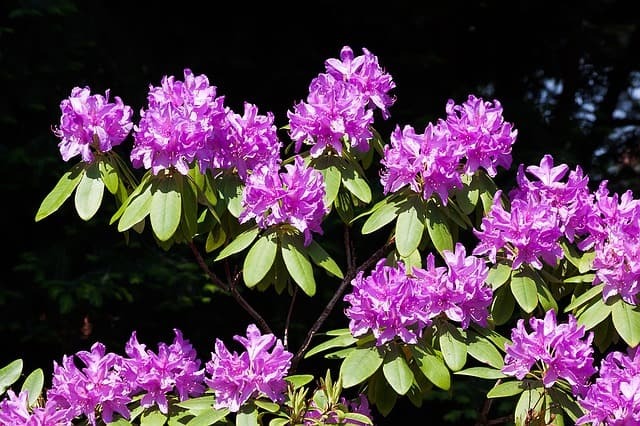 Rhododendron – This plant is common in landscaping and the leaves look much like bay leaves. However, you do not want to use these in your cooking. They smell foul and will contaminate any food with which they are cooked. 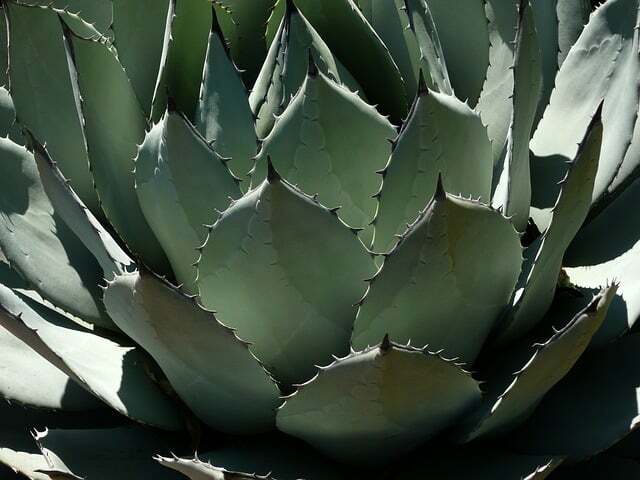 Agave – At first glance you would think this cactus-like plant is edible. However, it emits a sap that causes skin irritation and consuming it can lead to liver and kidney failure. The only cactus that is consistently edible is prickly pear cactus, and only in small amounts. 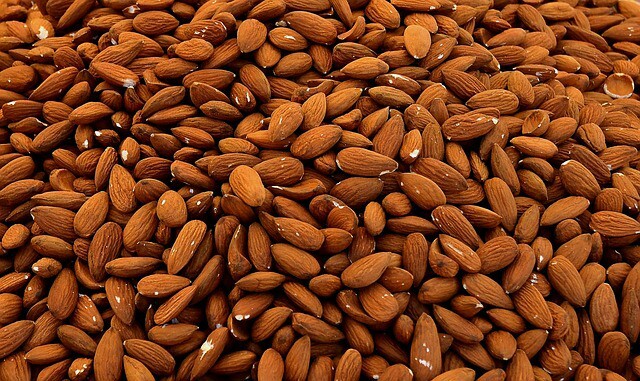 Bitter Almonds – Avoid eating almonds in the wild. Many varieties have a substance that the human body converts to cyanide. Eat enough of these and it will lead to illness and possibly death. 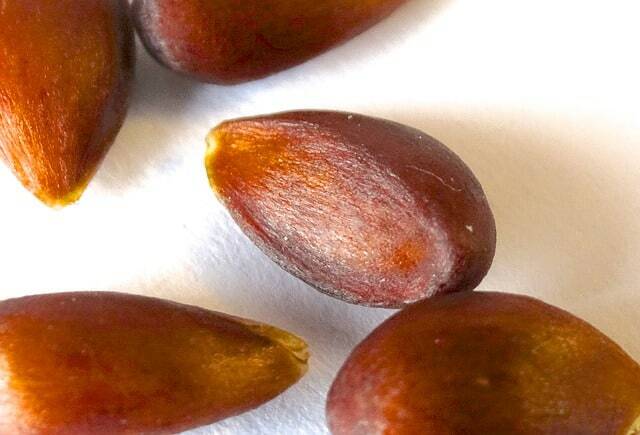 Fruit Seeds/pits – Most fruit you find in the wild has some amount of cyanide in the seeds or pits. You would need to eat large amounts to cause any problems, but make sure you discard any seeds or pits. 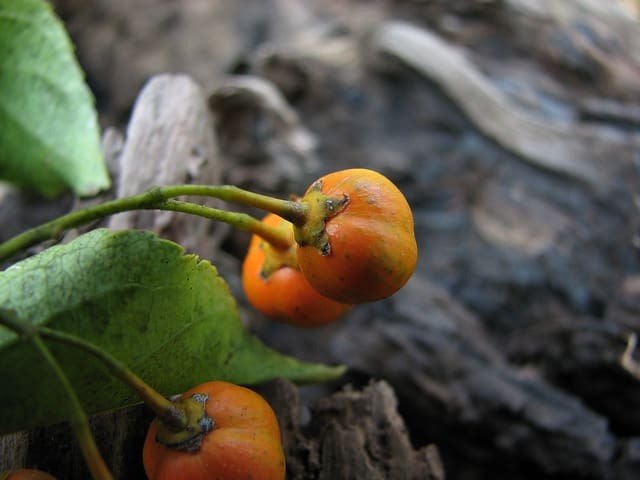 American Bittersweet – This viney plant has orange berries that look edible, but they should be avoided. Eating them will lead to cramps, diarrhea, and vomiting. 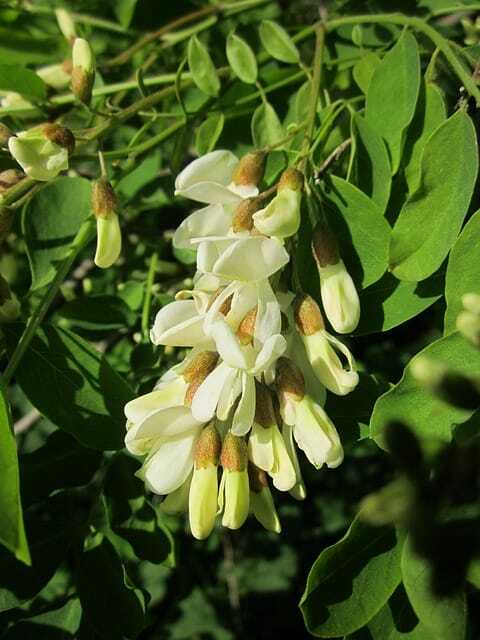 Black Locust Seed Pods – These pods look like snap peas and have black seeds inside. Eating the leaves, bark, or seed pods can lead to blood cell, liver, and kidney damage. Castor Beans – These beans are used to make castor oil, but contain a lethal poison. These beans have been used in several assassination attempts. One or two will kill a child and six will kill an adult. They will cause vomiting, seizures, and eventually death. 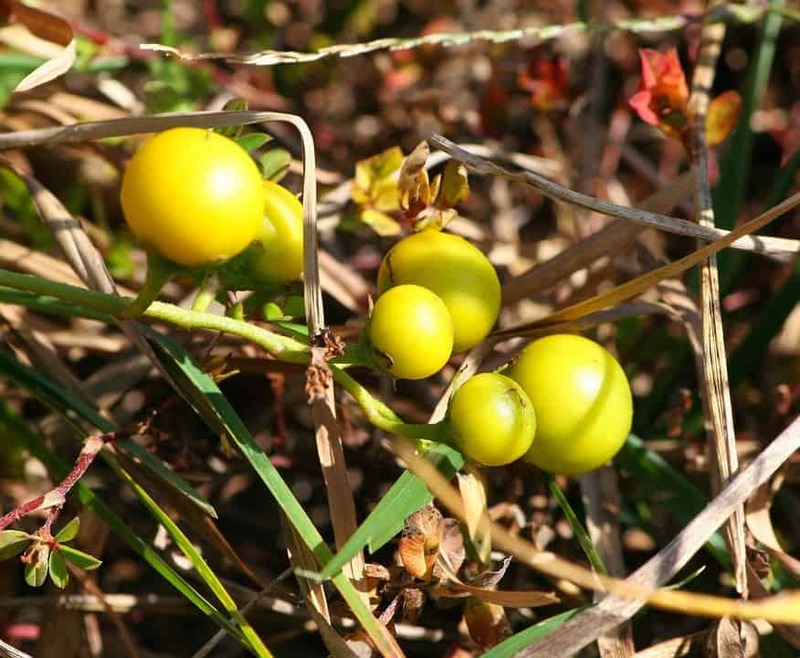 Chinaberries – These yellow berries grow in bundles. 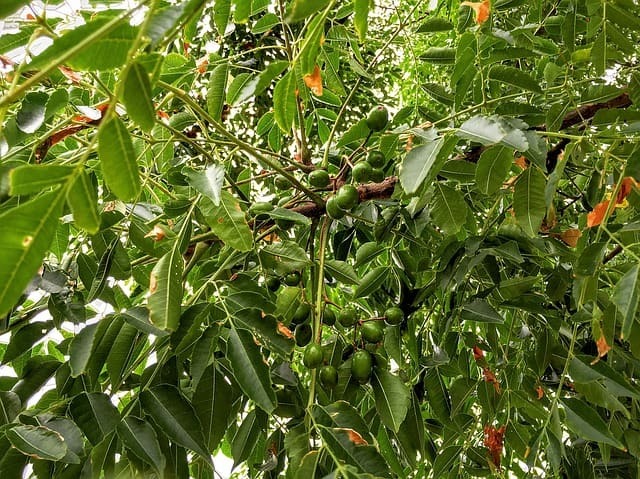 The chinaberry tree spreads aggressively and is considered a nuisance plant in most of the country, mainly because of the danger of it’s berries. Death Camas – Native Americans and settlers initially thought that the bulbs of this plant were edible. They learned their lesson the hard way. Every part of this plant is highly toxic. 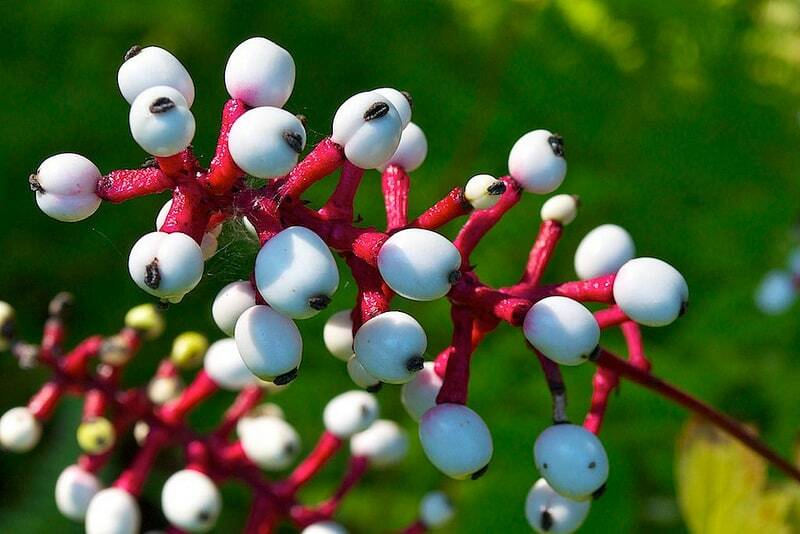 Doll’s Eye Berries – These berries are white with a black dot on the end. In addition to being super creepy, they can be fatal. The berries contain a toxin that shuts down the heart muscle leading to cardiac arrest. 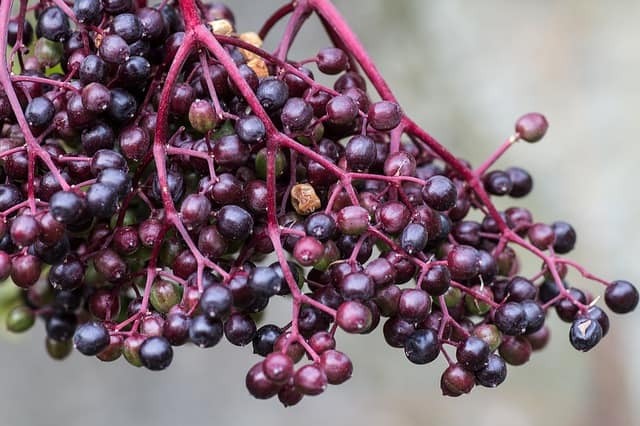 Elderberry plant – While the berries of this plant are edible and commonly used in pies or jams, the rest of the plant is bad news. Eating the leaves will make you mighty sick and eating the root could kill you. 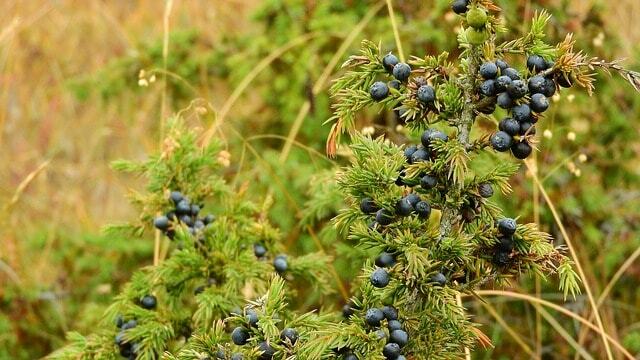 Juniper berries – Also known as a cedar tree, junipers are evergreens that produce a blue or purple berry. There is much controversy surrounding these berries as some cultures do eat them. However, large amounts can lead to diarrhea and vomiting. May Apples – these plants may sound like food, but do not be fooled. Eating any part of the plant will cause severe stomach pain and vomiting. 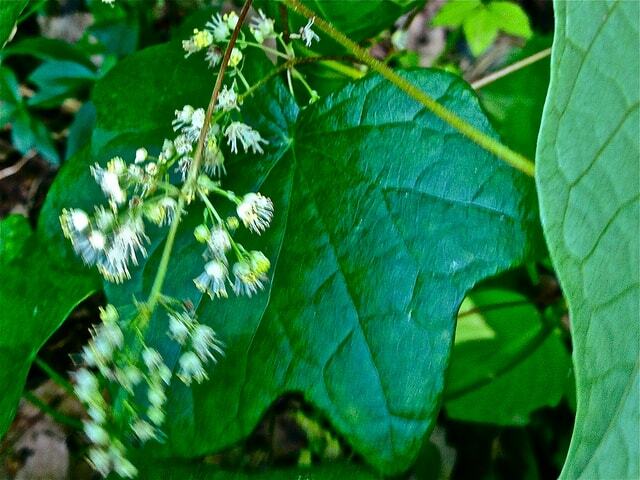 Moonseeds – The fruit and leaves of this plant look very much like a grape vine, so be careful. This plant only has one seed in the fruit whereas grapes have several seeds. 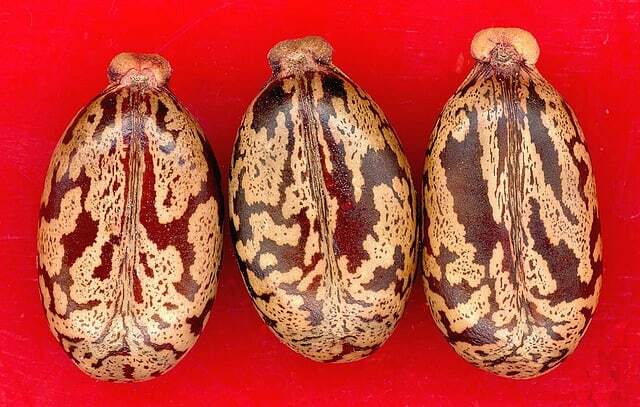 Morning Glory Seeds – These seed will make you sick, but they also cause hallucinations. If you eat enough, it has a similar effect to LSD. However, they can be accompanied by cramps, nausea, and hypotension. Hemlock – This plant greatly resembles wild carrots or parsley. It has a distinctive sour smell that helps with identification. Hemlock shuts down the electrical impulses from the brain causing respiratory failure. There are even reports of people dying from eating birds that had previously eaten hemlock. 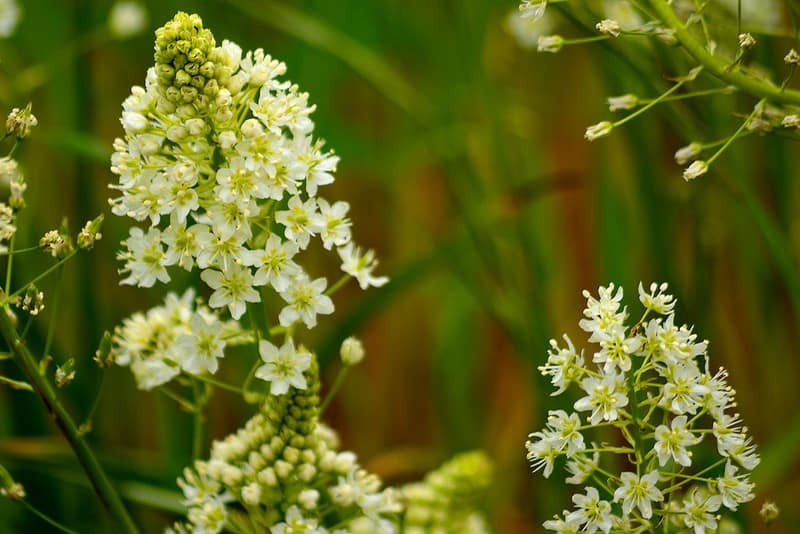 When found near water, this plant produces a white flower that resembles queen ann’s lace. 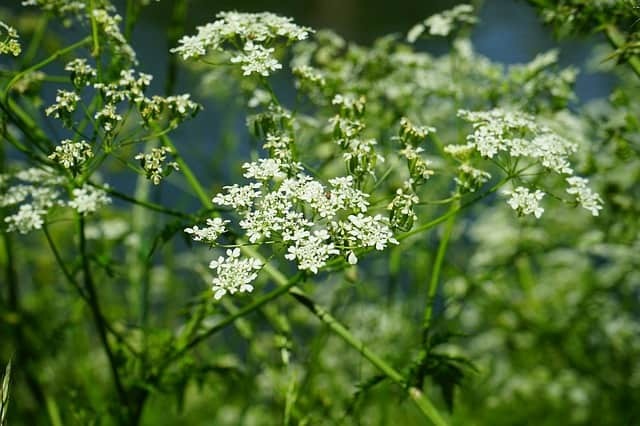 Even if you survive hemlock poisoning, you will likely have amnesia and tremors for the rest of your life. It is considered the most poisonous plant in North America. Wild Potatoes – Mature potatoes are a great food source, but the leaves and stems are dangerous. The root also contains poison when it is immature, so make sure it has fully developed. The tops of the plants should start to die off before digging them up. 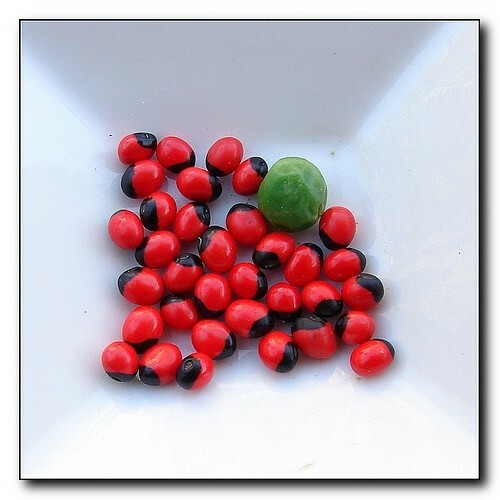 Rosary Peas – These red berries are often used in making rosaries. However, they are dangerous even to handle. There are reports of people pricking their finger will working with the peas and ending up dead. Only one berry is enough to kill a full grown man. Any time that you are trying out a wild edible for the first time, you need to ease into it. Only try one variety at a time so you can determine which plant was the issue if you get sick. Start by breaking it up and rubbing the juices on the underside of your wrist. Wait 20 minutes to check for a reaction. Next, touch a bit to the inside of your lips. Wait 20 minutes to check again. Next, chew some up and shove it between your gums and lip. Wait 20 minutes. Next, swallow a small amount and wait for any reaction. At this point you should be safe to eat more, but never eat too much of any one plant. Even if it is not poisonous, plants can be hard on your stomach if you are not used to eating them. When looking at food choices in a survival situation, your focus needs to be on risk versus reward. How can you get the most calories possible while expending the fewest calories possible? However, the risk of getting sick must be factored into that decision. If you are confident in your identification skills, collecting wild edibles can be the easiest way to a meal by far. However, if you have any doubt it is probably a bad idea. If you think you have eaten a poisonous plant, force yourself to vomit immediately. You can also eat charcoal to help absorb some of the toxins. Of course, if poison control is an option then make the call or head to the ER. It’s hard to say how much time you have before you are incapacitated, so do not wait. If you start to notice symptoms, take action immediately. I hope that some of this information will be helpful if you ever find yourself in that situation. 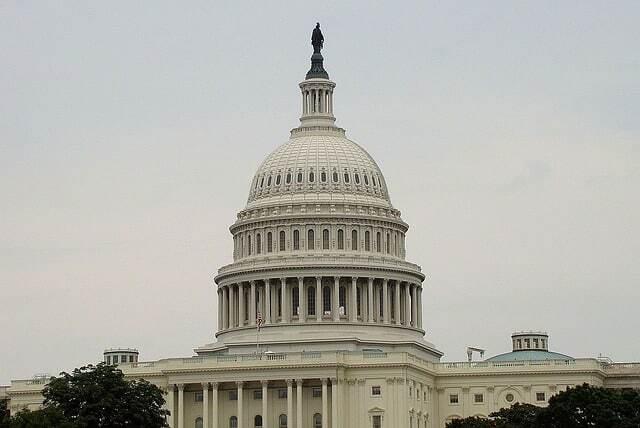 Neither the author nor https://modernsurvivalonline.com/ shall be held liable for any misuse of the information presented in this article. use it at your own risk. 1- Night Shade. It is a common misunderstanding dating back many years. Wonder Berry, Common Night Shade, Garden Berry and Sun Berry. All are safe to eat and leaves are used in Africa are cooked and eaten like greens. See Susan Ashworth’s book “Seed to Seed” page165 for printed proof of that. 2- Poke Weed. Although berries are thought to be highly poisonous, the leaves are totally safe to use as greens *if* you boil and pour off the water twice. Some don’t even boil them though. I personally eat a berry or two for a few days every year (spring time) as the old timers here have told me it cleans the system and is a great body tonic. Many people eat the young leaves here as greens and even cook ’em up in eggs. In fact the leaves were commonly sold in grocery stores canned like turnip greens are today and are very nutritious. 3- Juniper Berries. They make a good tea and can be used to move lymph and stop coughing. They are so astringent they could possible stop internal bleeding. No one can really stand to eat them because of that highly astringent property, but use them in teas for cold and flu season. I cannot count how many times I have used these for cold and flu in teas for sickness of the respiratory region. *Great for asthmatics!!!! I use berries and the tips of the foliage and harvest for use every year. I’m not trying to tell you to change this things in your article. But when you live out in the wilderness, or have actually challenged common thought, the way you think changes based on life skills. Thank you for the very informative and interesting article. 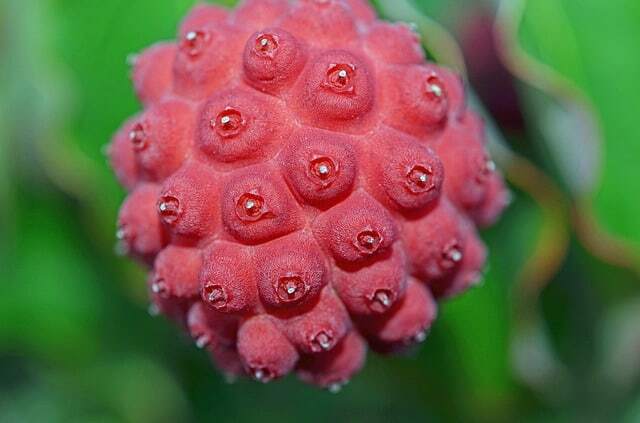 The fruit you show for the dogwood on this page is actually the fruit of Cornus kousa, or Korean Dogwood, which is in fact edible. Our native dogwood, Cornus florida, is not. Great article and comments! Good to know!